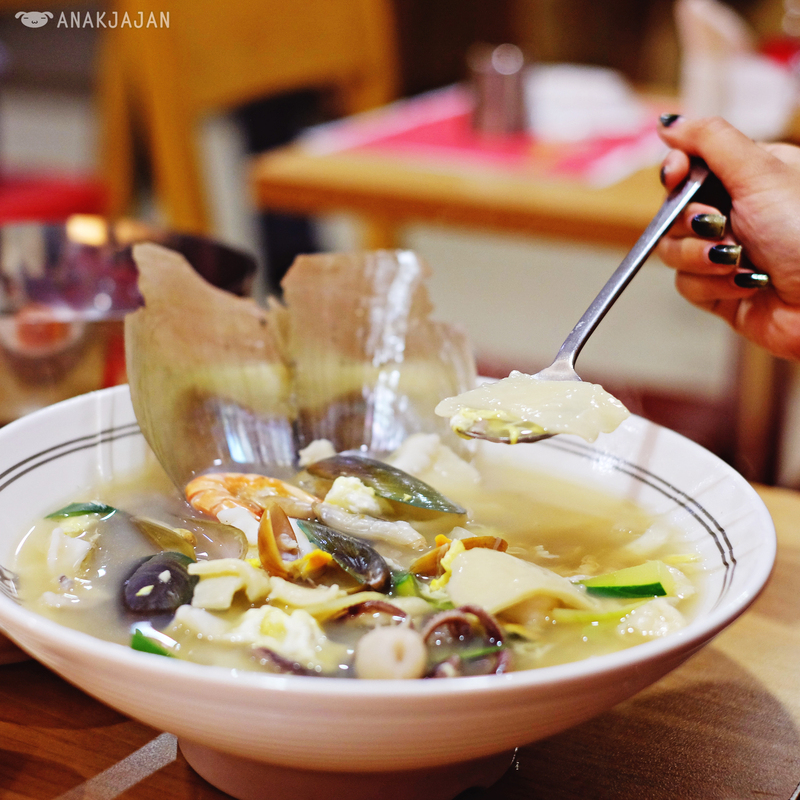 Rainy season has finally come and what kind of dishes are the most suitable for the rainy season like this? 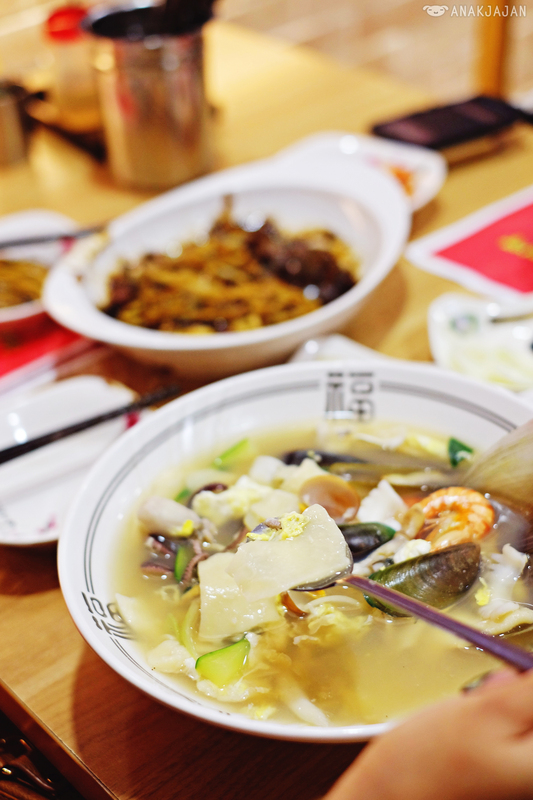 For me would be soupy dishes and noodle just like Legend of Noodle at Senopati area. BREAKING NEWS!! Legend of Noodle is finally opened a new outlet at Pantai Indah Kapuk, hop over to the end of this post for detailed address. A while ago me, after having our sinful coffee break with martabak, me, Mr. Jajan and our blogger friend Natasha are having hard time deciding where we are going to have our dinner. It was raining hard that night, suddenly Mr. Jajan suggested Legend of Noodle and we immediately agreed. 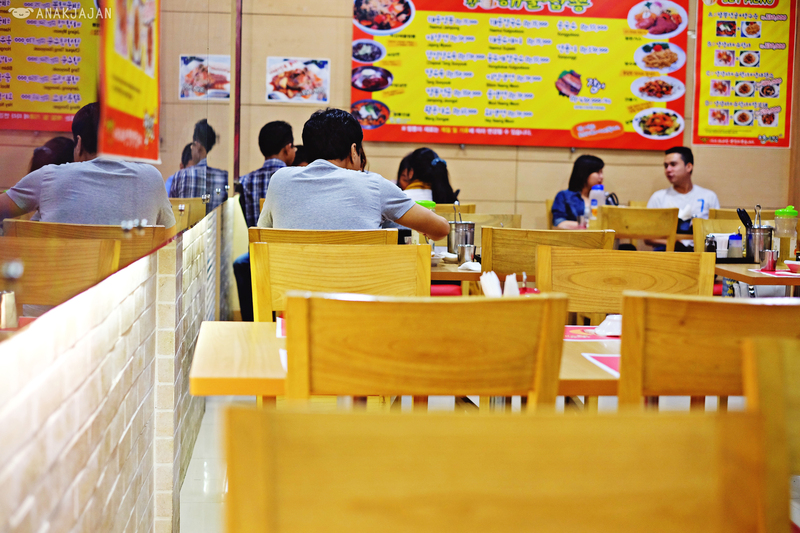 Legend of Noodle is located in the middle of Senopati and Suryo street South Jakarta. 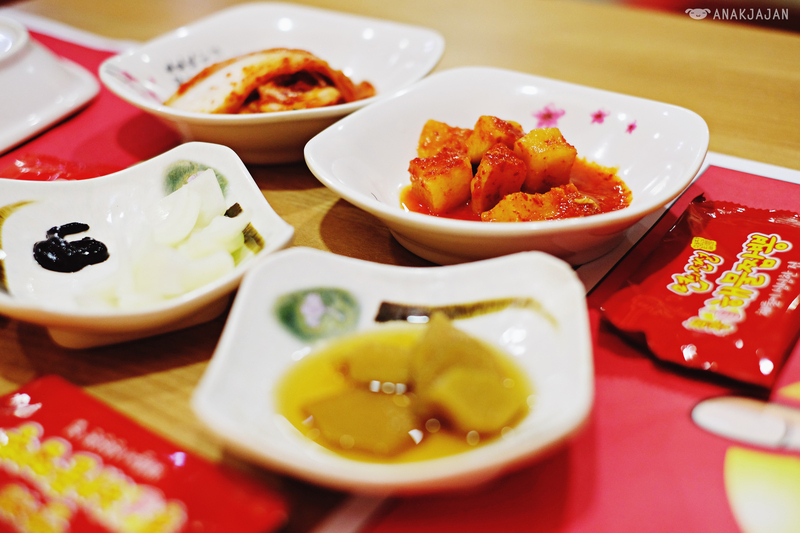 It is a simple restaurant serving various authentic Korean style noodle. 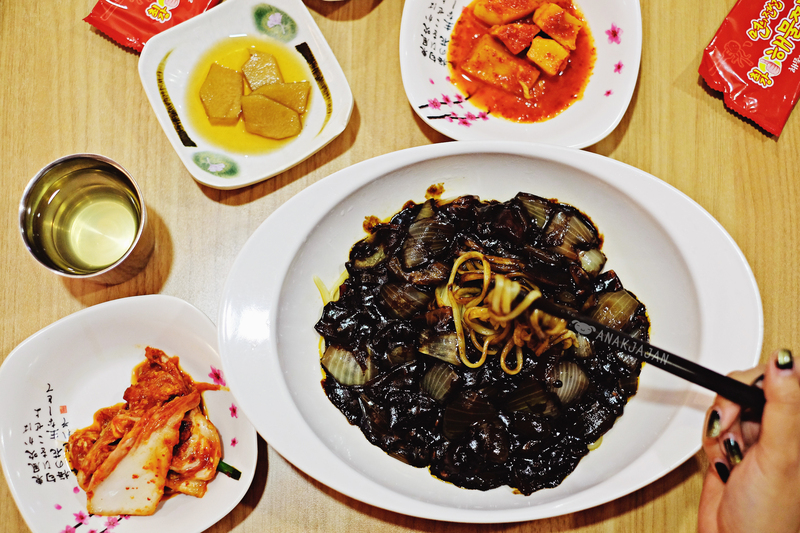 Jajang Myeon is the most popular menu here in Legend of Noodle. 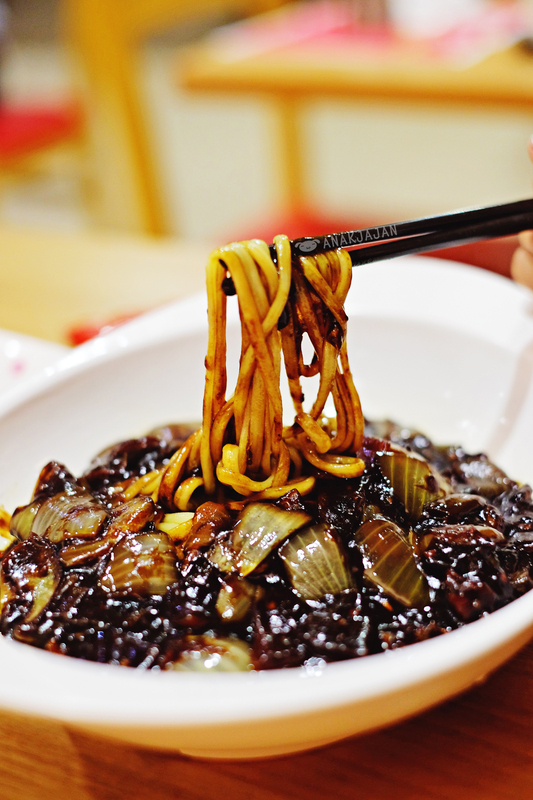 This one by far was the tastiest JajangMyeon AnakJajan ever had, sooo good!! Home made straight noodle with black bean sauce on top. Their sauce was the bomb!! Sweet yet savory with generous amount of caramelized onion and chunks of pork. 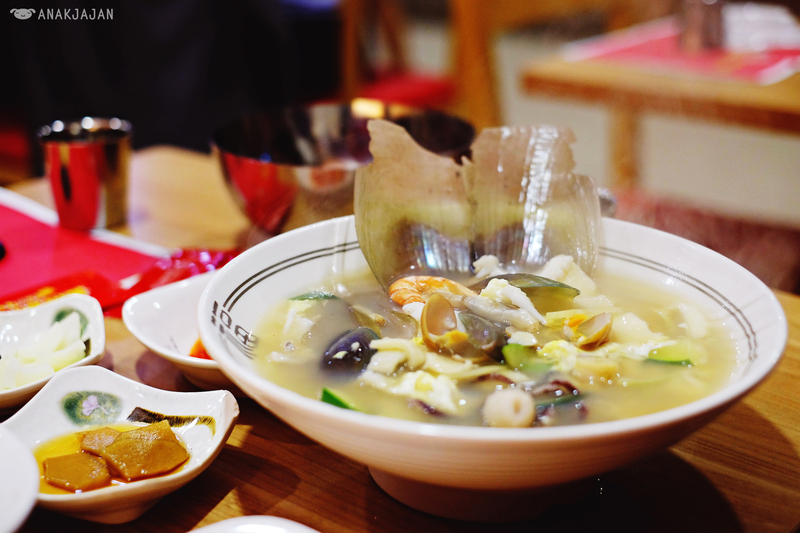 Besides their famous JajangMyeon, Haemul Jampong is supposed to be the other popular order here, it is a spicy seafood broth noodle but my friend told me the soup kinda reminds her of spicy instant ramyun noodle soup, that’s why we opted other soup menu which is Haemul Sujaebi, flat noodle served with clear seafood broth. 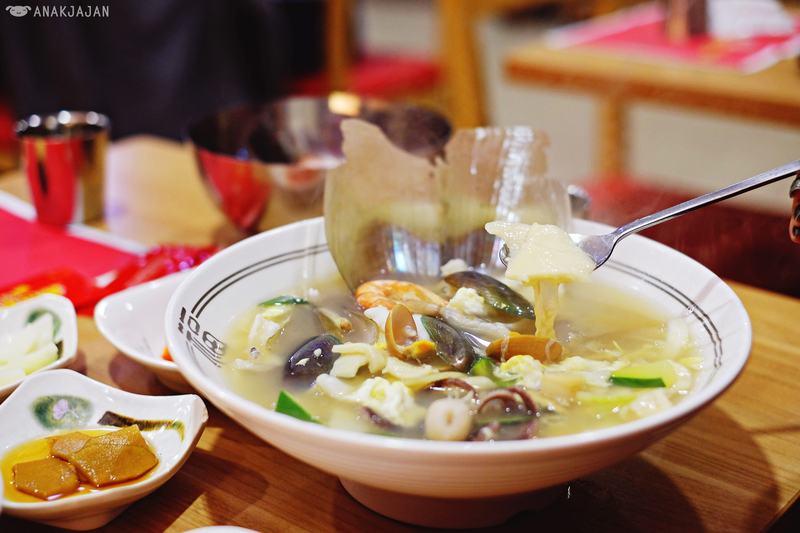 The broth was full of seafood richness but it was kinda bland and boring, on the other side the amount of seafood was super plentiful and fresh. If you don’t have a big appetite, I suggest you to share it with your friends because all of the menu here are served with a super huge portion. 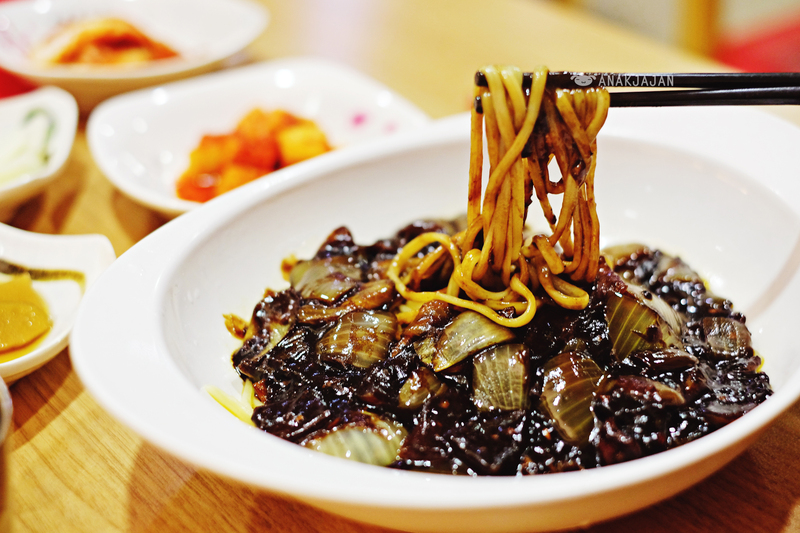 Overall, Legend of Noodle certainly has the best JajangMyeon in Jakarta, super recommended! Let’s Jajan! !